German magazine Der Spiegel reported last week that Bayern Munich and their chairman Karl-Heinz Rummenigge attempted to lead some of the continent’s biggest clubs into a new competition. European Leagues — an organisation that acts on matters of common interest regarding clubs from the 32 professional leagues it represents — has already spoken out against the idea of a “closed and franchised style” competition. Fifa legal director Alasdair Bell added: “The idea is if you break away, you break away — you don’t keep one foot in and one foot out. 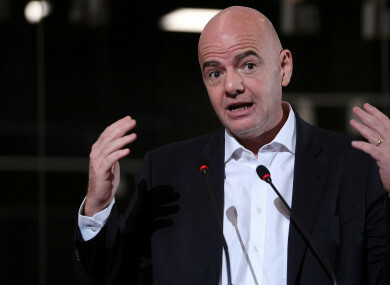 The Club World Cup is the answer to any attempt to think even about any sort of breakaway leagues,” he commented. Email “Players in breakaway European Super League could be banned from World Cup”. Feedback on “Players in breakaway European Super League could be banned from World Cup”.